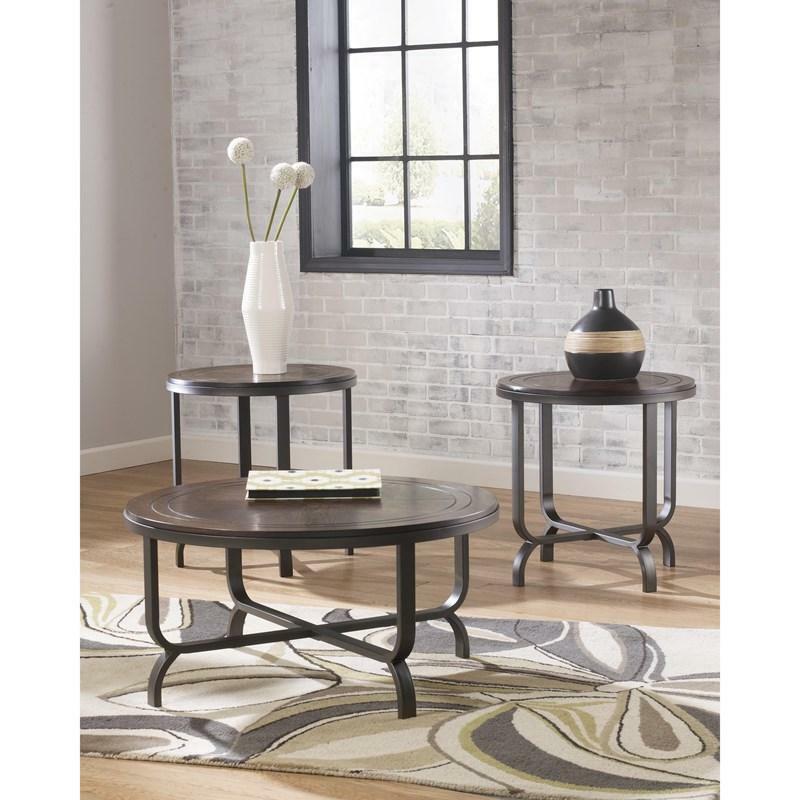 With a two-toned approach to style that’s both earthy and elegant, the Ferlin coffee table set rounds out your living space. 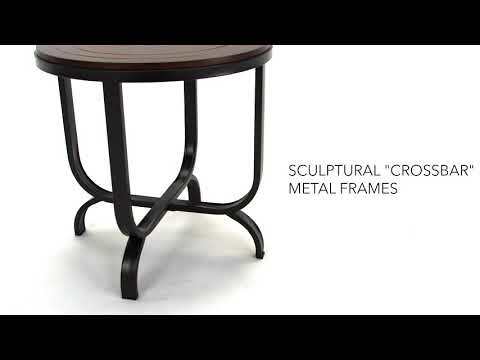 Rich and rustic wood-color tops with grooved accents are a lovely complement to the metal framing with crossbar design. Main • End table (2) 24.00" x 24.00" x 24.25"
• Cocktail table 35.75" x 35.75" x 18.25"
Volume 7.24 cu. ft. / 0.21 cu. m.